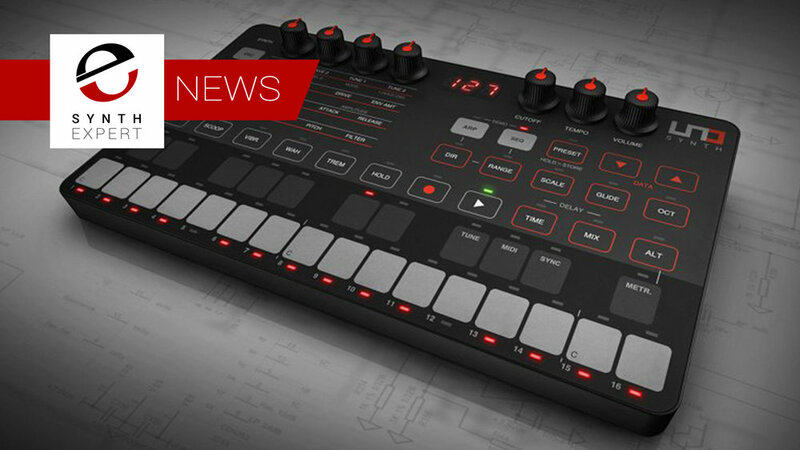 This is what they say; "IK Multimedia proudly debuts its premier hardware synthesizer, UNO Synth. Designed for everyone interested in rich, true analog sound, this new monophonic synth offers a wide sound palette and easy programmability in an ultra-portable, battery-powered format for on-the-go music creation, live performance or studio recording - all at an affordable price. UNO Synth delivers everything from classic to modern sounds to create music in any genre. First-time synth users get instant gratification from this easy-to-use instrument - 100 presets and an easy-to-play keyboard with selectable scales and an arpeggiator make UNO Synth the perfect gateway into the synthesizer world. Experienced pros will also love its rich sound and easy portability." More than 40 onboard controls are available on the top panel to give real-time access to synth engine parameters, for immediate sound sculpting capability with no deep menus to scroll through. For added control, a Mac/PC editor is also available. The UNO Synth's generous 27-note onboard multi-touch keyboard offers over two octaves of sound control as a chromatic keyboard or as a predefined scale keyboard with 13 available scales. The built-in arpeggiator with 10 arpeggio modes and a 4-octave range offers even more creative possibilities for keyboardists and non-keyboardists alike. UNO Synth is available now for pre-order with free shipping from the IK Multimedia online store and from IK authorized dealers worldwide for the affordable price of only $/€199.99*, with shipping scheduled for July 2018.